The United States Coast Guard is a military maritime service within the Department of Homeland Security. The core roles are to protect the public, the environment and the US economic and security interests in America’s coasts, ports and inland waterways. The United States Coast Guard Academy is a four year accredited college program. Find discounts for Coast Guard travel on airline tickets, hotel reservations, cruises, car rental and Coast Guard vacation travel. Take advantage of your Coast Guard benefits while traveling, and enjoy the savings. Vacation for servicemembers is a time where Coast Guard personnel get a chance to reconnect with their families and enjoy time away from the everyday stress and duties that being a servicemember incur. Frequent relocations are an accepted part of Coast Guard life. Moving is challenging and can be disruptive and stressful to DoD personnel and their families. 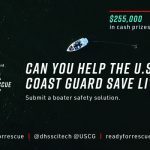 The first step in joining the U.S. Coast Guard (USCG) is determining if the Coast Guard is right for you. If you Join The Coast Guard, you will receive competitive pay, education assistance, insurance, retirement, job training, leadership opportunities and more. Are you in excellent physical and mental condition? It is a must if you want to be a soldier in the U.S. Coast Guard! The ASVAB is one of the most important steps when joining the Coast Guard. 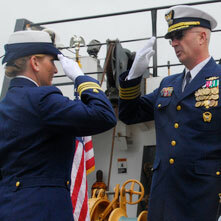 It is one of the main factors in determining your career path while in the Coast Guard. Moving to a different Military Occupation Specialty, Air Force Specialty or Rating is not the only way to change Coast Guard jobs. Coast Guard Spouses are part of a talented and amazing work force. They support and sustain troops fighting to defend the Nation, they care for our wounded warriors, and they survive our fallen heroes. One of the great benefits of today’s Coast Guard is Leave. Basic Pay is the fundamental component of Coast Guard pay. All members receive it and typically it is the largest component of a member’s pay. A member’s grade (usually the same as rank) and years of service determines the amount of basic pay received. Coast Guard loans can be a good way to pay for emergencies, minor purchases, vacations, or for consolidating other debts that are at a higher interest rate than the military loan rate. Learn below about the many career opportunities available to you as a service member of the Coast Guard. There are thousands of Military Acronyms in use today. Use our acronym finder to learn the lingo used by the U.S. Coast Guard.